See scan - perfect condition. 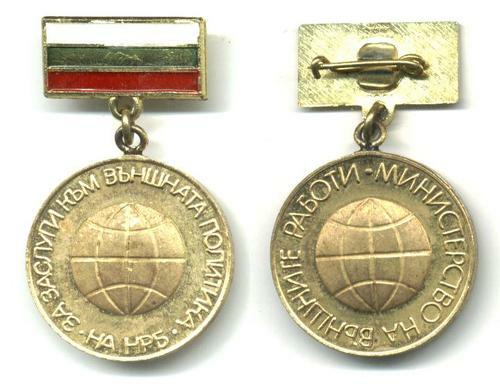 This is an absolutely scarce and rare Bulgarian communist / socialist era special medal awarded for perfect merit to the Bulgarian Foreign Ministry and perfect diplomatic service. Only a few received this high distinction award and so far we've seen only one other such piece ever offered for sael. Scarce and rare collector piece and one of the rare Bulgarian medals. 1985 Poland RODLA recover territories medal !